Oil companies are in for at least another year of pain, according to Scotiabank’s latest commodity price index, with crude oil prices are expected to stay below US$50 a barrel for the next 12 months. Oil prices below $50/b well into 2016? The report by Patricia Mohr, a vice-president and commodity market specialist, sees some recovery to around US$55 a barrel by the end of next year. She says U.S. supplies of crude haven’t been slowing, and a key factor to watch will be whether Texas producers stay resilient with crude in the US$40 to US$45 a barrel range. Meanwhile, the Organization of Petroleum Exporting Countries is increasing its output to build market share in Asia as Saudi Arabia braces for a long battle with U.S. shale producers, Russia and Iran. On the demand side of the equation, Mohr notes that the China growth story has been called into question, but cautions against overreacting to the current jitters. 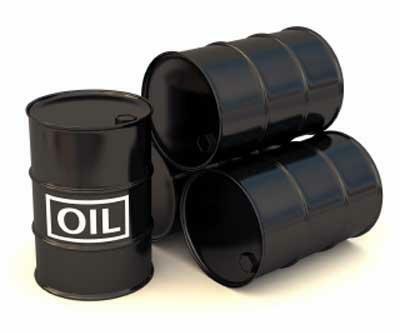 A week ago, the US Energy Information Administration forecast Brent crude oil spot prices to rise from an average of $51/b in the fourth quarter of this year to an average of $59/b in 2016. The EIA argued that falling crude oil production in the United States in response to lower oil prices would help moderate oil inventory builds in the coming months, leading to slightly higher prices. The EIA estimates global consumption of petroleum and other liquids grew by 1.1 million b/d in 2014, averaging 92.4 million b/d for the year. Through July 2015, global liquids consumption has grown by an additional 1.2 million b/d. Global production of petroleum and other liquids has been higher, growing by 2.3 million b/d in 2014, averaging 93.3 million b/d for the year, and increasing by an estimated additional 2.9 million b/d through July 2015. That imbalance led to total global liquids inventories growing by 2.3 million barrels per day (b/d) through the first seven months of 2015, the highest level of inventory builds through July of any year since 1998.